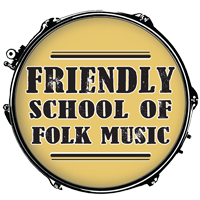 The Friendly School is here to help you with the skills you need to play guitar in any style you like. Whether you’re brand new to the guitar, picking it up after a break, or trying to learn what you can online, you’ll progress faster, and have more fun along the way, with our core guitar program and supportive community. Click here to view Youth Guitar Classes. I can do all that and I'm ready to join the band!